The Dong-Feng 21 is a road-mobile MRBM developed by the People’s Republic of China in 1991. The DF-21 is a two-stage, single-warhead, solid-propelled, missile that is deployed on a semi-trailer TEL with a maximum range of 1,800km. [i] Paired with inertial and terminal radar-guidance, the DF-21 can be fired rapidly with a launch-time of only several minutes. The missile is contained in an aluminum-alloy cylinder tube and is launched from a vertical position. 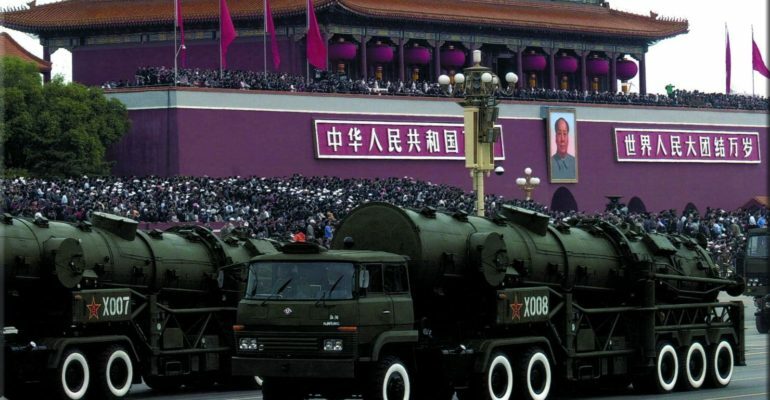 [ii] The DF-21 has been improved into several variants such as the DF-21A, DF-21B, DF-21C, and one of China’s most recent innovations the DF-21D. Conventionally-armed DF-21s will allow the PLA to engage in theater-range ballistic missile opening or escalating strikes meant to counteract an adversary’s invading forces and infrastructures. This would also allow China to perform long-range preemptive, opportunistic, or suppressive, strikes that can interfere with adversaries attempting to assemble for an operation. [viii] The PLA recently placed a considerable amount of pressure on India as several DF-21C launchers are being positioned in western China near Ka Aaidam and Delingha. The nuclear strike capabilities of the DF-21A and DF-21B act as an additional deterrent to other regional adversaries such as Japan, Korea, Russia, the Philippines, and Vietnam. [ix] The DF-21 and its variants have greatly strengthened China’s A2/AD capabilities.